Online streaming television service Sling TV has made its cloud DVR feature available on iOS for the first time. 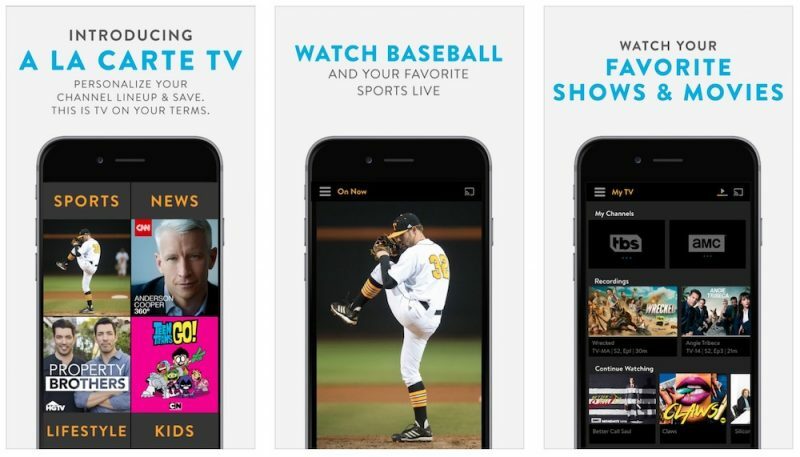 The latest version of the Sling TV app for iPhone and iPad includes the ability to record shows and movies on the majority of available channels. The feature made its way onto Apple TV in April. The service's DVR "First Look" option costs an extra $5 per month on top of a regular Sling TV subscription and gets users 50 hours of cloud storage. Once that space has been filled, older recordings are automatically deleted to make way for new ones. When a user opts to record an episode of a TV series, they can set the app to record new episodes as well or only the chosen one. Alternatively, they can download entire series, while specific recordings can be protected so they don't get automatically deleted. Channels excluded from the DVR recording feature are the following: ABC, Disney Channel, Disney XD, Disney JR, ESPN, ESPN2, ESPN 3, ESPN Deportes, ESPN Goal Line, ESPN Buzzer Beater, ESPN Bases Loaded, Freeform, and the SEC Network. The latest version of Sling TV includes the new DVR service for those with the "First Look" subscription. The app is available to download for free on the App Store. [Direct Link] The service is only available within the U.S.